A 23 yr old Napinder Kaur resides in Rasulpur village, which is located in Chandigarh. Her father was a farmer the only earning person in her family. Her economic condition was not very good. She could not be able to continue her studies after 12th because of poor financial condition of her family. Her family was going through very hard times. One fine day when the moblizers were on the Mobilization activity, Napinder was introduced to the free three month skill training program provided by Don Bosco Tech in Chandigarh. They described her the deliverables of the program. 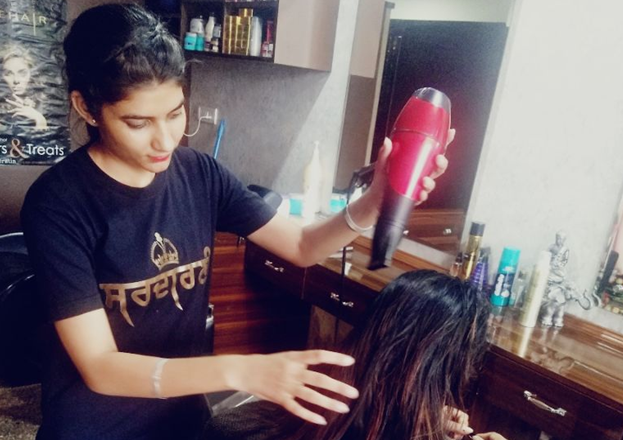 Napinder came to the centre and enrolled in the beautician course as per her interest. During the training, she was a good learner, punctual and very passionate about the domain. After the training, Don Bosco Tech provides her chance to be interviewed in Talking Scissors Beauty Parlour, where she performed well and got selected with 5000/- monthly salary. Now she is very happy with the job as a beautician and supporting her family financially. Also she is thankful to Don Bosco Tech who is providing such a good opportunity to the needy.